January 23 is National Handwriting Day. This is a day dedicated to good old fashioned handwriting. 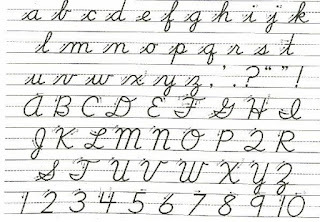 When I was in elementary school, handwriting class was part of our daily lessons. Teachers would have charts that pulled down, and more charts on top of the blackboard, and we would practice writing on lined paper - first printing (in the younger grades) and then cursive. I really struggled with the traditional cursive, slanted right, everything connected and uniform. My natural writing is straight up and down, and loopy. It is a combination of printing and cursive. It's neat and very legible. I like to write with a felt pen (often a sign pen) on paper. It gives a bold, clear appearance that I like. I also love fountain pens and have a couple of them here. 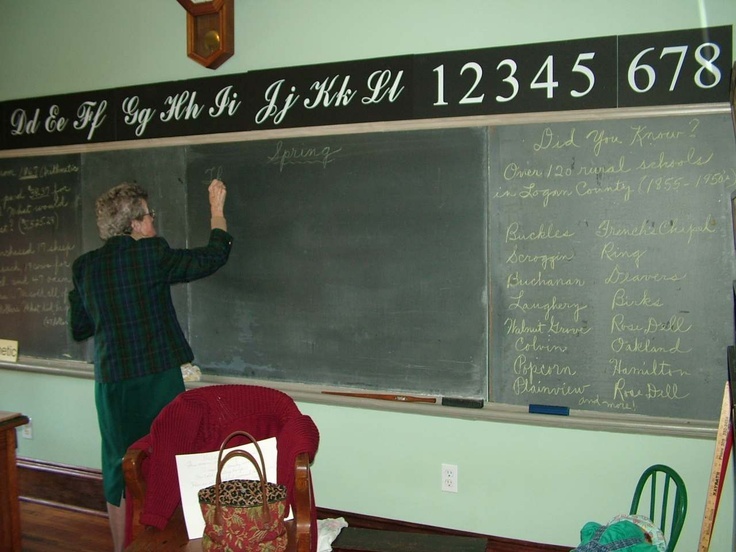 There is a trend in some school systems to no longer teach cursive. I personally think that there is value in writing long form. I was a creative writing major, and find that writing long form vs. writing on a computer is a different process, and produces different results. I write poetry in long form. I journal in long form. I blog and write articles on the computer. There is also something about the beauty of a handwritten letter. This is something unique and rare in today's world. When I receive a handwritten letter, or a card with a handwritten note, I treasure it. Write a poem or short story in long hand. Write a gratitude list (things that make you happy). Write your signature and then doodle around it. Make it into art. 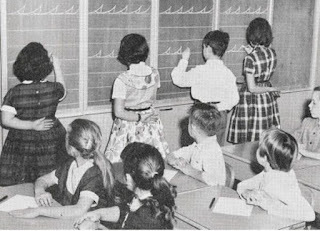 Do you remember learning cursive in school? Do you still write in long hand? Will you be doing anything to celebrate National Handwriting Day? I'd love to hear from you in the comments, below. I love cursive writing! And I wish they still taught it in schools today. When I begin homeschooling my kids, I will definitely teach them this! Cursive is totally a lost art these days! Love that you're celebrating it! I'm a teacher and we start teaching cursive at our school in 2nd or 3rd grade, depending on when they're ready. Gotta love private schools! This is such a great idea. i love cursive writing and it's so nice to see someone still making it a priority!! 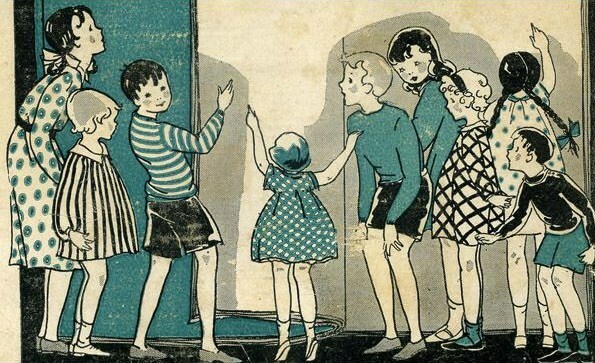 Wow - this takes me back a ways! 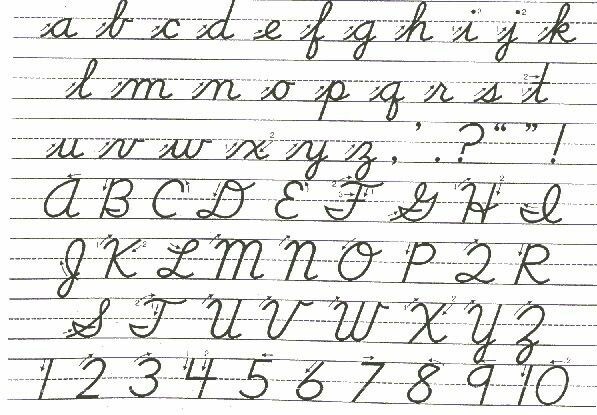 Cursive was wonderful to learn... but over the years as I got older for some reason my handwriting got so sloppy I switched to printing.... I should take your chart and practice cursive again! I loved learning cursive. I clearly remember my gray pen and how reverently Miss Conner treated the pens and ink. My handwriting was much better then than it is most of the time now. For me, practicing handwriting is a very good activity for keeping my small motor skills (and probably certain sections of my brain) well honed. Susan, that is a great idea about practicing handwriting to keep small motor skills honed.